Relocating employees often have questions regarding their children’s education, family healthcare, eldercare, and the job market and career support for their accompanying partner or spouse. 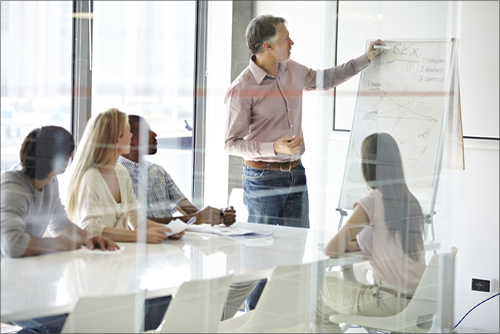 Understanding your employee’s needs is important to their relocation process. By providing useful resources for transferees and their families, your company can help ensure a successful relocation. In Worldwide ERC’s 2016 U.S. Transfer Activity, Policy & Cost Survey the average cost to relocate a home-owning employee is approximately $79,000. Family concerns about the relocation often make employees reluctant to accept transfer assignments. Reasons include concerns about the new location, spouse reluctance to leave their current position, housing market issues, and cost of living differences. There are many actions employers can take to ensure their employees and family members have a positive relocation experience. Major benefits to the organization include increased job acceptances, accurate budgets, minimal policy exceptions, and cost savings. Benefits for employees include expert counsel and assistance in all relocation matters, a dedicated consultant, and support services for spouses and partners. Comprehensive career assistance that reviews a candidate’s experience, identifies personality type, discusses the importance of corporate culture, develops an application schedule and goals, offers resume review, provides networking and interview preparation, and assist candidates in navigating job listings and online resources. Access to the company’s network of recruiters it uses for its own staffing requirements; some Relocation Management Companies (RMCs) can provide access to a larger recruiter than the company’s current in-house program. Partners or spouses may have a small business and will have unique needs and require specific guidance when relocating their business. Resources for partners or spouses looking to start a new business or relocating an existing business may include market analysis, networking assistance, and introductions to the startup community in the new location. Providing a full range of career support and other resources for transferees and their families serves to ensure successful relocations. 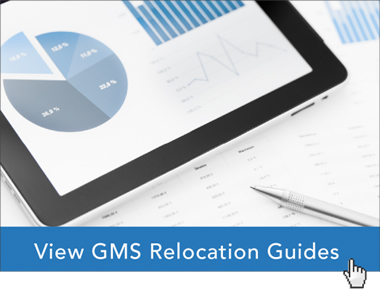 The corporate relocation experts at Global Mobility Solutions (GMS) have the knowledge and expertise to help your company assess candidates for assignments and provide your employees and their family members the best relocation experience. Contact our team of experts to discuss how we can review your relocation program so it provides employees all of the services they and their families need for a successful relocation, or call us directly at 800.617.1904 or 480.922.0700 today.